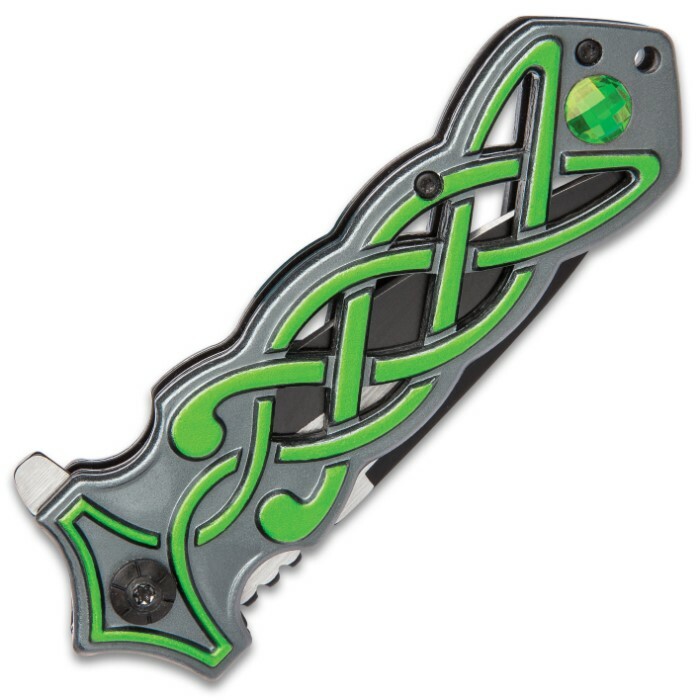 Celtic Open-Work Assisted Opening Pocket Dirk - Two-Toned Stainless Steel Blade, Embossed Aluminum Handle, Pocket Clip | BUDK.com - Knives & Swords At The Lowest Prices! 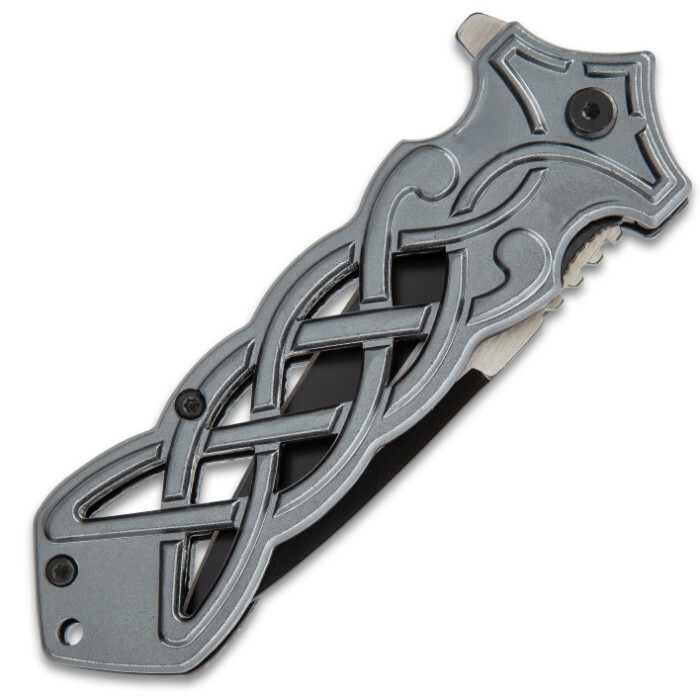 Inspired by the fierce dirks the Celts took into battle with them, our Celtic Open-Work Assisted Opening Pocket Dirk makes the perfect EDC for the modern-day Celtic warrior. It has a keenly sharp, 3 3/4” two-toned 420 stainless steel dirk blade with jimping and a flipper to access the assisted opening mechanism. 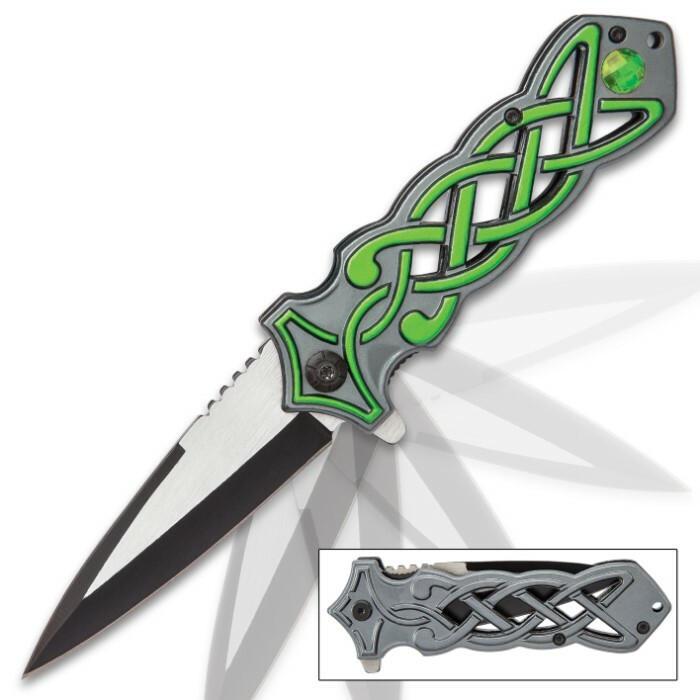 The open-work aluminum handle is a light grey with Celtic green embossed knotwork accents and it also features an inset faux ruby. The assisted opening pocket knife is 5” when closed and the handle has a black pocket clip and a lanyard hole for easy carry options. Not a bad little pocket knife. Like the iconography and open work. Flips open quickly, closes well. All and all Im happy with the purchase.